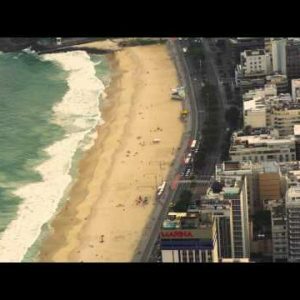 Tags: brazil, favela, houses, kite, poor, poverty, rio de janeiro, slow-motion. People can be seen going about their business on their rooftops in this favela in Brazil. A man in the center of the shot can be seen flying a kite.